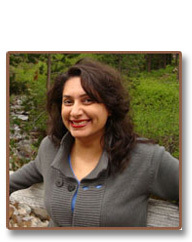 Bina Shah is a fiction writer and journalist in Karachi, Pakistan. She is the author of four novels � Where They Dream in Blue, The 786 Cybercafe, Slum Child and A Season for Martyrs � and two collections of short stories, "Blessings" and "Animal Medicine". Her work has been published in English, Spanish, German, Chinese, Vietnamese, Urdu, Sindhi and Italian. She writes a monthly column for Dawn, the largest English-language newspaper in Pakistan, and a blog, 21st Century Woman. She has contributed essays to The Guardian, The Independent, the literary magazines Granta and Wasafiri, and the journal Critical Muslim. She became a contributing opinion writer for The International New York Times in the fall of 2013. Her novel A Season For Martyrs will be published by Delphinium Books and distributed by HarperCollins US in November 2014.